After over five and a half years, finally a new Plastic Pals album. Psychic Reader has hit the streets today Friday 2 November. As before it´s released on our own label Polythene Records. But this time we have the pleasure of teaming up with Borås (that´s West Sweden, near Gothenburg) label Paraply. In Scandinavia the album will be distributed via Border Music. On this album The Plastic Pals flirt with glam, ska, classic Brinsley Schwarz pub rock and 70s soul/funk. But we still stay true to our patented twin guitar, drums and bass sound – drawing inspiration from 70s CBGB’s rock and The Paisley Underground – with a dash of powerpop, psychedelia and blue-eyed soul. Psychic Reader features guest appearances from Camper Van Beethoven violinist Jonathan Segel, Polynesian/ Swedish chanteuse Tiare Helberg, Peter Forsman (from Swedish band IntoDeepWater), Italian keyboardist Francesco Bonfiglio (Lowlands) and – as on previous albums – Green On Red’s Chris Cacavas on keyboards. “Question is whether the band ever sounded this good”, Swedish music critic Pär Berglund wrote in his blog Meadow Music on The Plastic Pals’ single Riding with Elvis (2015) – featured on the album as a re-mix by acclaimed US producer JD Foster. 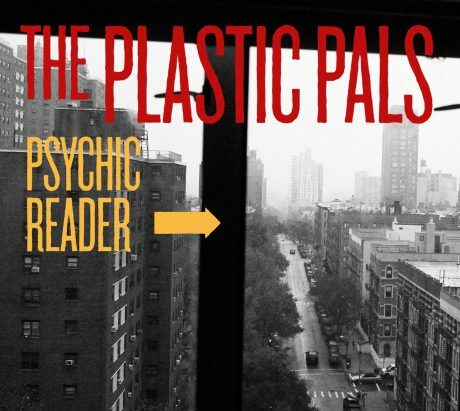 Psychic Reader’s ten songs tell tales of visits to London and New York, lost friends, loves and chance encounters … there’s no question – the band never sounded this good. All songs on the album is produced by The Plastic Pals, except for Connecting which is co-produced with singer/guitarist Hawk´s son Simon Soold. Posted on Friday, November 2nd, 2018 at 4:59 am.